ALL-WHEEL DRIVE: This exclusive and industry leading AWD system automatically shifts between 2- and 4-wheel drive and locks the front and rear differentials. No buttons or levers needed. The result is full traction and superior performance in all turf conditions, on pavements and off road. The system also make sure turf damage is minimal. BBC CONTROL: Blade Brake Control stops the blade from turning and leaves the engine running, enabling off-turf traversing and convenient stop and go operation. EASY STORE HANDLE: This intuitively designed handle allows for easy height adjustment and vertical storage position by just pushing the bail forward. 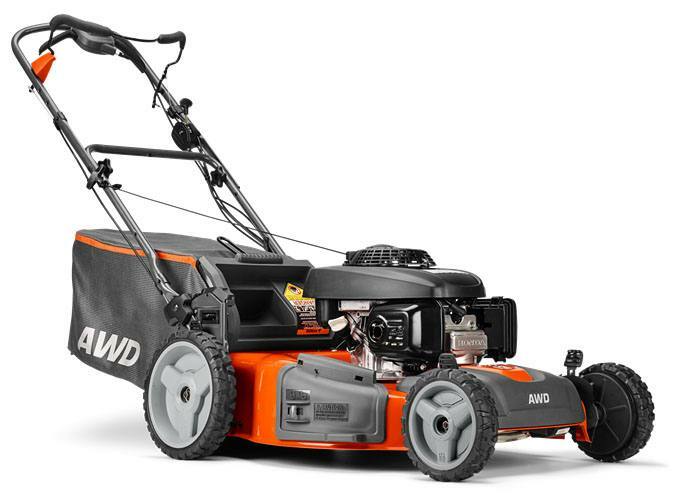 Mowing Height Range 1.13 - 3.38 in.